If you have hit a real energy low, it could be time to treat yourself to an energising break. We are not talking about a high budget luxury retreat but an effective programme you can organise for yourself. You should enjoy a stress-free weekend which leaves you refreshed and full of energy for the week ahead. Just as important as the timetable below, is the action you must take before your revitalising weekend gets underway. Start the weekend off with a light meal. 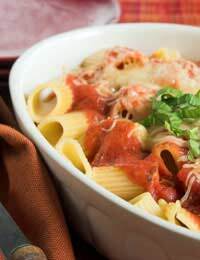 Wholemeal pasta with a vegetable sauce, topped with a little Parmesan is ideal. Practise deep breathing for around ten minutes. Breathe deeply from the diaphragm, filling your lungs full. This will allow your heart rate to slow and make you calm. Lastly, soak in a warm bath, with two or three drops of essential oil of lavender added, and get a good night's sleep. Start the day with an energising salt massage bath. Add a cup or two of sea salt to a cool water bath. Take another handful of salt and add warm water to it, making a paste which you should massage in small circular movements over your body from neck to feet. Then lie down in the bath and soak for about ten minutes. This bath will stimulate your circulation and deeply cleanse your skin, leaving you feeling very energised. Do not use this massage if you have broken skin or if you have high or low blood pressure or any heart condition. Now have a good breakfast of muesli or porridge, adding fruit or nuts as you wish. Have fresh orange juice and two slices of wholemeal bread and honey. Follow this with a little gentle yoga, or other stretching exercises. Spend the rest of the morning decluttering and clearing your home. This decluttering has the effect of enhancing your energy levels. For lunch, eat scrambled eggs on wholemeal toast. Now go for a brisk walk. Don't forget to breathe deeply. On your return drink some peppermint tea, and sit quietly for ten minutes or more with your hands in your lap. This would be the ideal afternoon for a massage if you can book one in advance. Book a Thai or similar massage which will work on the inner energy systems of the body. Failing this, you can do your own massage lying on a warmed towel on the floor. Warm some cold-pressed sesame oil, or other fragranced oil, to body temperature (using a bain marie of hot water). With oiled hands use rythmic strokes to massage arms and legs, and circular movements for rounded parts of your body and for your joints. Take your time, working gently over every part of your body, even down your fingers and between your toes. Make sure you are warm, and when you finish cover yourself with blankets and lie and relax for around 30 minutes. Your evening meal needs to be rich in protein. Grilled tuna, or other fish, together with a salad, would be ideal. Have a relaxing evening and an early night. Breakfast as Saturday. You can ring the changes with fruit. Do some yoga or other stretching exercise. Do this for as long as you feel comfortable, and follow it with deep breathing for around ten minutes. One of the best ways to boost energy and self esteem is through exercise. Prepare a lunch of baked potato filled with humus, fresh tomatoes and chopped onions. Follow with fresh fruit. If you dislike humus, use tuna or vegetables. Use the afternoon for a long, gentle walk and remember to practise deep breathing. On your return, relax for a time before preparing dinner. For dinner the suggestion is chicken. Poach chicken pieces in water in a saucepan, with chopped onions, ginger, chopped parsley and seasoning. After about 40 minutes, add some fruit, such as chopped apples, prunes, pears, dates or raisins, or a mixture of those. Continue simmering until the fruit is tender. Serve with brown rice, couscous or bread. Finish your weekend off with a warm, scented, candlelit bath and an early night. You should be able to sleep well and wake refreshed and energised for the week ahead.